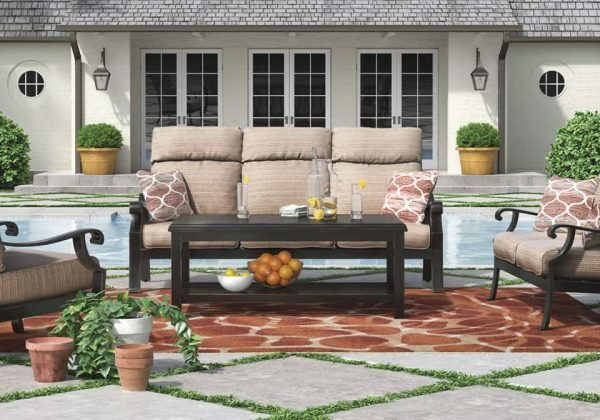 Those who consider outdoor furniture “roughing it” owe it to themselves to indulge in a higher form of comfort with the Chestnut Ridge outdoor sofa. Wrapped in high-performing Nuvella™ fabric that’s plush to the touch yet made for the elements, this outdoor sofa sports super high-back cushioned seating to cradle you in carefree style. 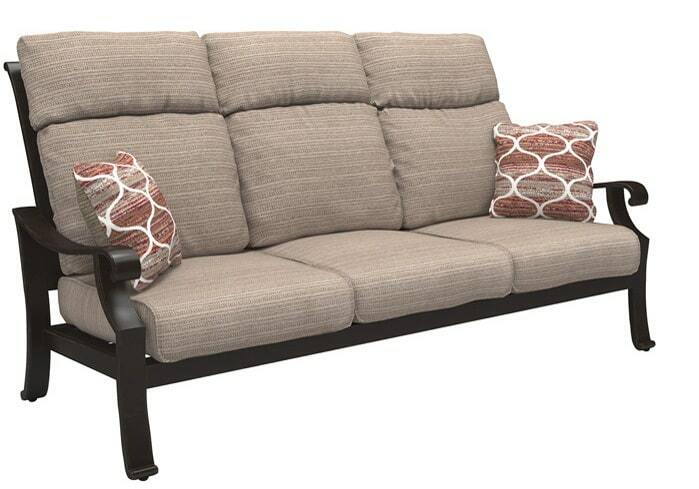 And you can rest assured the durable, rust-proof cast aluminum frame won’t let you down. *Tables, chair, and love seat in photo not included.